Bikn is a modern leash for your iPhone and everything you don’t want to lose. When I received the device and two smart tags last month, I knew instantly what I was attaching them to…my 6-year old son and my husband. They were a little confused when I told them to get lost so I could go find them, but they did it anyway. We spent some quality family time while I tried to figure this thing out. The starter kit comes with one iPhone case and two smart tags. 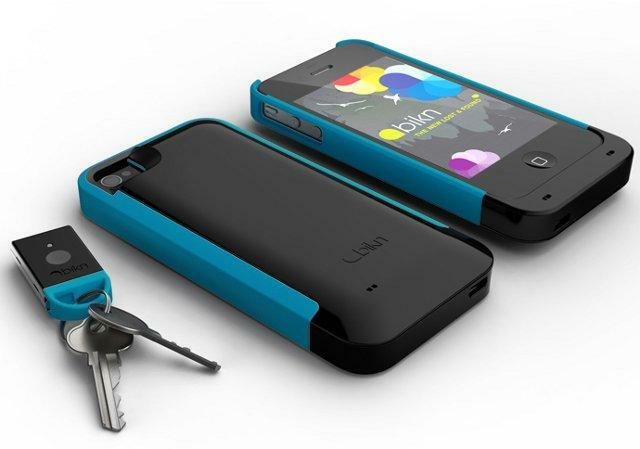 For starters, you will need to insert your iPhone into the case and download the free Bikn app from iTunes. Downloading the app and setting it up was pretty simple; actually using the app was even easier. Each tag has a colored loop that helps you organize who is who in the app. Once we had it settled on who got what tag, my son learned a new way to push mommy’s buttons; specifically the paging button on his tag. Each tag comes with a button that, once pushed, will send out a signal to the iPhone case. The paging won’t stop until the smart key button is pushed again or the iPhone app deactivates the page. You can imagine how much fun I had all afternoon with my son wanting to constantly push the button to hear the neat beeping sound it makes. I felt like R2-D2 was following me around. The leash feature I found to be pretty interesting and a little fun. To get back at my son for his button pushing, I set his leash really short. Every 5 feet his tag would go off and he would know to come back to mommy. The nice thing about the beeping is that it wasn’t loud enough to be annoying, but it was loud enough for us to hear. Even if I couldn’t hear my son’s tag, the Find feature helped me locate him by giving me a compass and estimated distance from my location. Overall, I was satisfied with the product. The app is only around 15 MB so my iPhone isn’t hurting for space and my battery was surprisingly stable. We all got a good laugh at my expense with the paging buttons. I think next time I’ll attach the tags to a dog and my car keys. At least they won’t try to push my buttons. Disclaimer: All tests were done in a controlled environment and at no time were the test subjects on their own. No children, animals, or other being were harmed in the testing of this product. Thank you. ← Was Your LinkedIn Password Leaked?